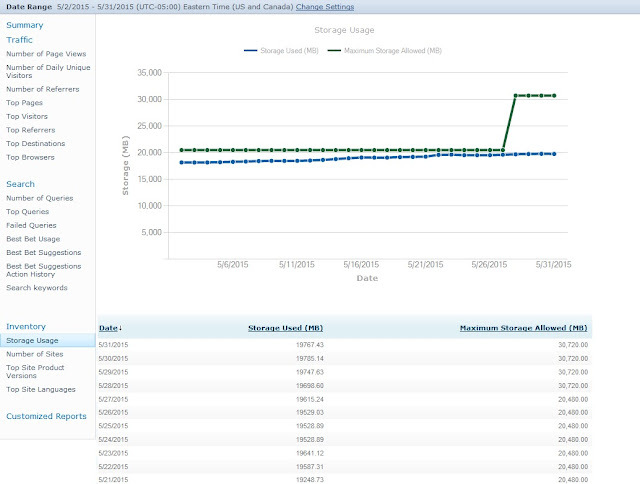 This article explains how to check the storage quota of a site collection. 3. 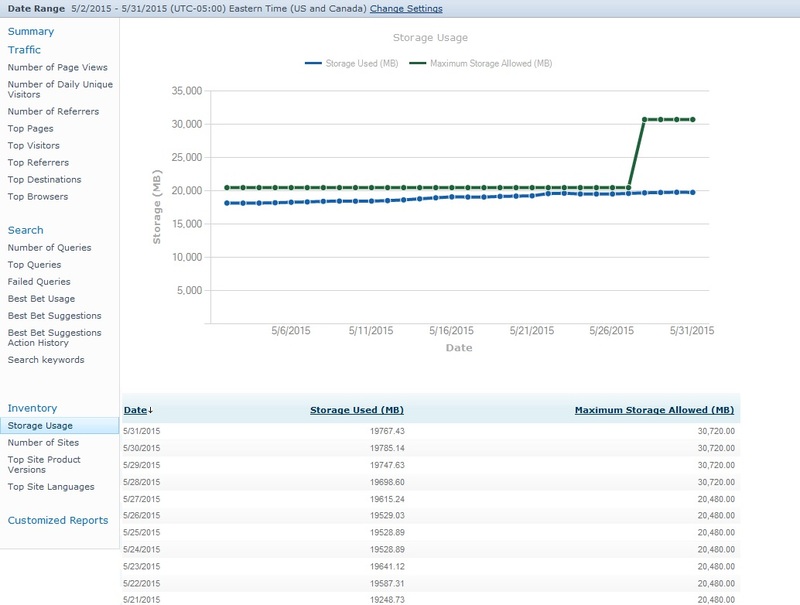 On the left navigation below Inventory, select Storage Usage under the Inventory heading to view current and historical information about your storage quota and usage. Note: Files in the recycle bin are included in the site usage. You must empty the recycle bin to free up that space.